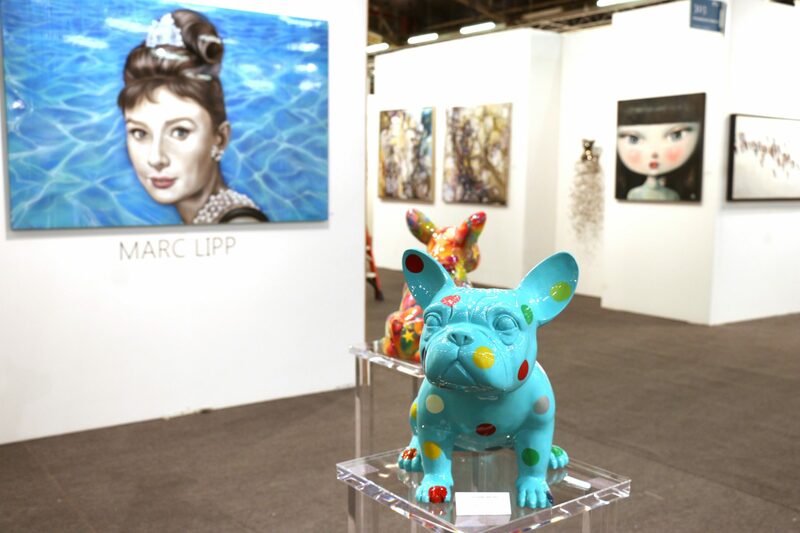 Artexpo New York 2020 will take place April 23–26 at Pier 94, New York City’s celebrated “Art & Design Pier.” New York City is home to more artists, galleries, art lovers, collectors, and industry professionals than any other city in the world. With 20.2 million residents, it’s the most populous metro area in the U.S., a popular destination for travelers, and the No. 1 city in the country for art sales. If you feel your work would be a good fit for Artexpo New York, [SOLO], [FOTO SOLO], or our Rising Artist Gallery, we invite you to apply now! 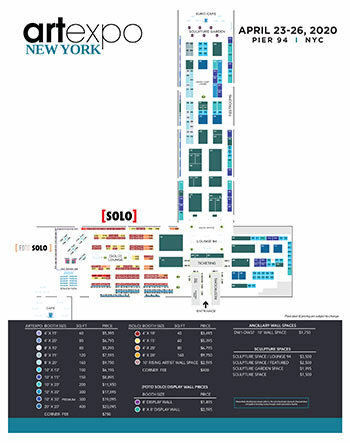 Artexpo New York is in Pier 94 and co-locating with [SOLO] and [FOTO SOLO]. What does this mean for you as an exhibitor? Our biggest and best show yet and superb foot traffic. Amenities include architecturally designed floor plan with carpeting, 10-foot gallery-style hard wall booths with professional signage, and wide aisles for optimal traffic flow and better viewing for buyers. 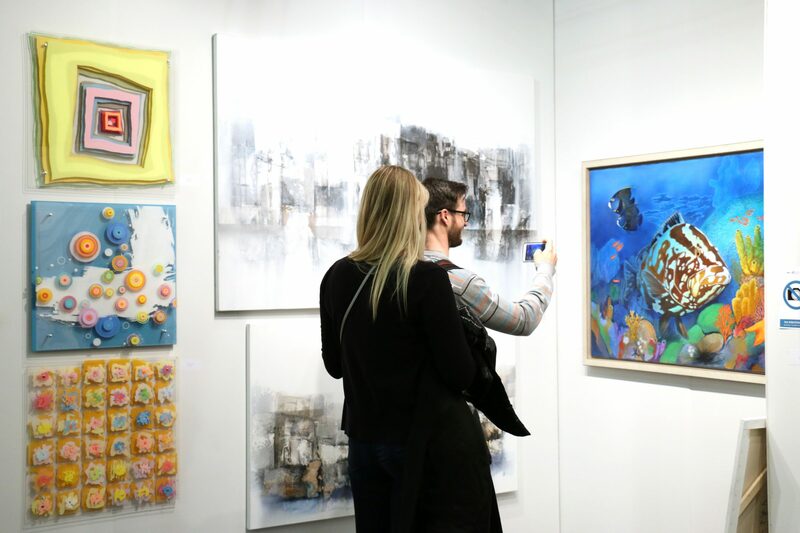 A $750 premium will apply to all Artexpo New York show corners. Additional walls, lighting and furniture are available. Maximum Free Drayage Weight - Lbs. Drayage (on-site freight handling) is included in the exhibit space cost subject to the following maximums. Drayage expense above these maximums is the responsibility of the exhibitor. For more information or to reserve your booth, please contact one of our Sales Managers. 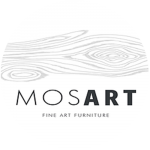 New to the art world and don’t think you are ready for a full booth exhibition? Explore our Rising Artist Gallery opportunity. Good news, PayPal now offers financing options on everyday purchases. Click below for more details on how you can use PayPal to help make your exhibiting experience that much easier. I wish to thank you for the care and friendship you and your team extended to Stephen and me at the show. It was quite the experience, to say the least. We are in the mode of major follow-up and massive promotion since the show ended. I wanted to thank Artexpo New York personally for giving me the opportunity to participate in Artexpo New York. It has been a fantastic and unforgettable experience. An impeccable organization. For me, it was really important to have been there. Thanks to you, I could meet new people and make contacts. I hope to see you soon again. I take pleasure to inform you that our team returned to China last weekend. It was our honor to work with you and Steve. We appreciate so much the kindest concerns and help that you and Steve favored. Artexpo New York was an amazing experience for every member of our team. 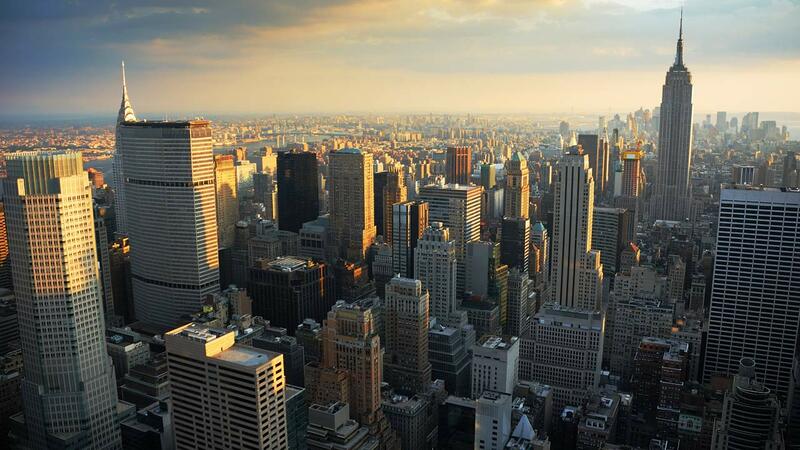 We look forward to further working with you in next Artexpo New York and your other shows. Thank you again, and please accept my sincere best wishes!